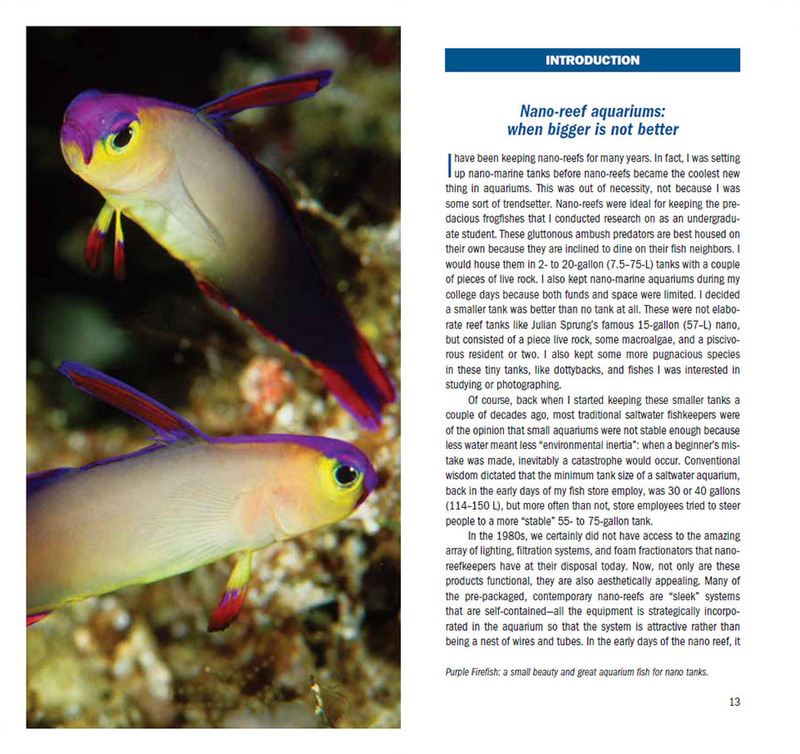 Meant as a field guide to reef species suited to keeping in aquariums of 30 gallons (114 L) or less, The 101 Best Nano Reef Species, by veteran aquarium author Scott Michael, uses color photographs taken in home aquariums as well as on coral reefs for quick visual identification. Species appearing here have been selected as outstanding for their hardiness and durability in nano aquarium conditions and for their attractiveness and interesting behaviors. Fishes are arranged alphabetically by common name within their family groupings. Invertebrates are arranged by phylum, for example grouping shrimps and crabs under Crustaceans. Use the Quick Finders located on the inside covers to navigate easily to the species you are seeking. In addition to a species overview and notes about aquarium behaviors and compatibility, each account contains concise facts and advice. 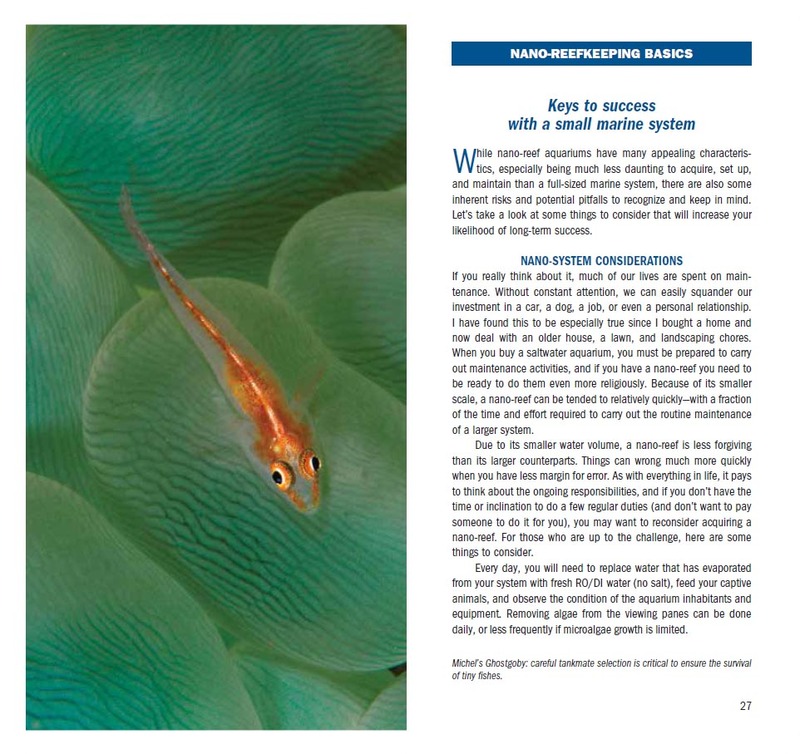 This exceptional new guide covers more than just a list of 101 suitable candidates for stocking a small reef aquarium. 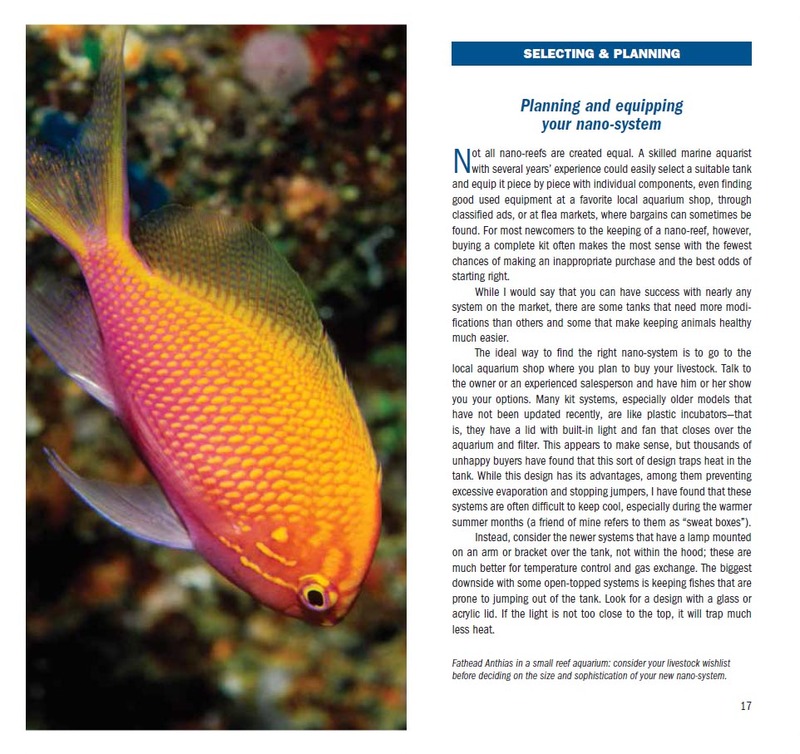 Sections include Selecting & Planning, Nano-Reefkeeping Basics, Maintenance of Nano Aquariums, Foods & Feeding, and Stocking Guidelines, including Model Nano-Reef Communities. 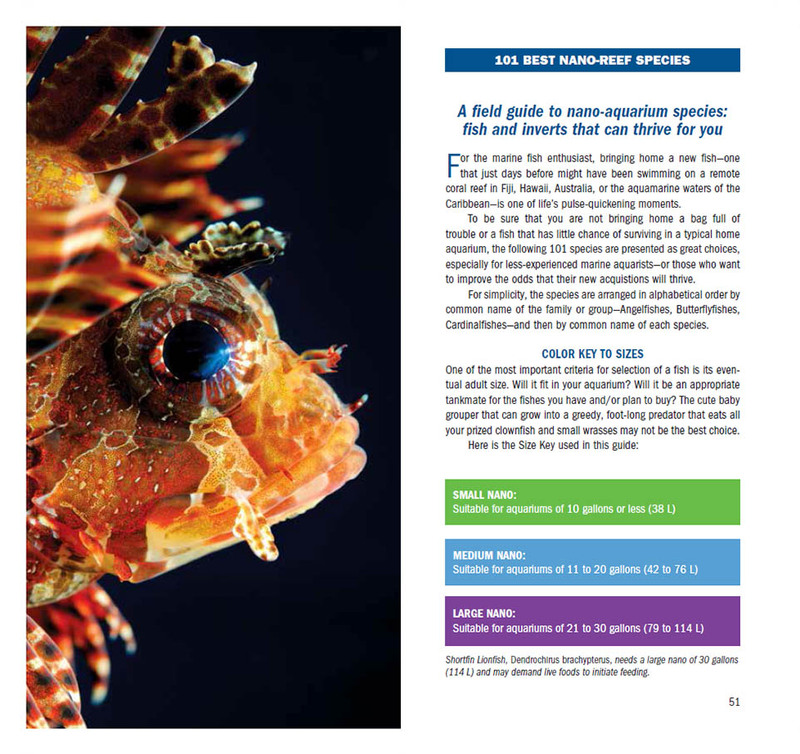 The species guides covers Fishes from Angelfishes and Anthias to Seahorses & Wrasses; Crustaceans, Cnidarians, Echinoderms and Mollusks. Scott Michael even examines “The Big, The Bad & The Ill-fated”, the species to avoid. When Bigger Isn’t Better – Scott Michael starts off this book looking at the trend of going smaller with reef aquariums. More than just a list of 101 ideal species for nano marine aquariums, this guide starts with the fundamentals of selecting and planning a nano-reef system. Stocking guidelines help aquarists avoid the many pitfalls and errors that can be made through inappropriate livestock selection. Species accounts are color coded for quick and easy reference. 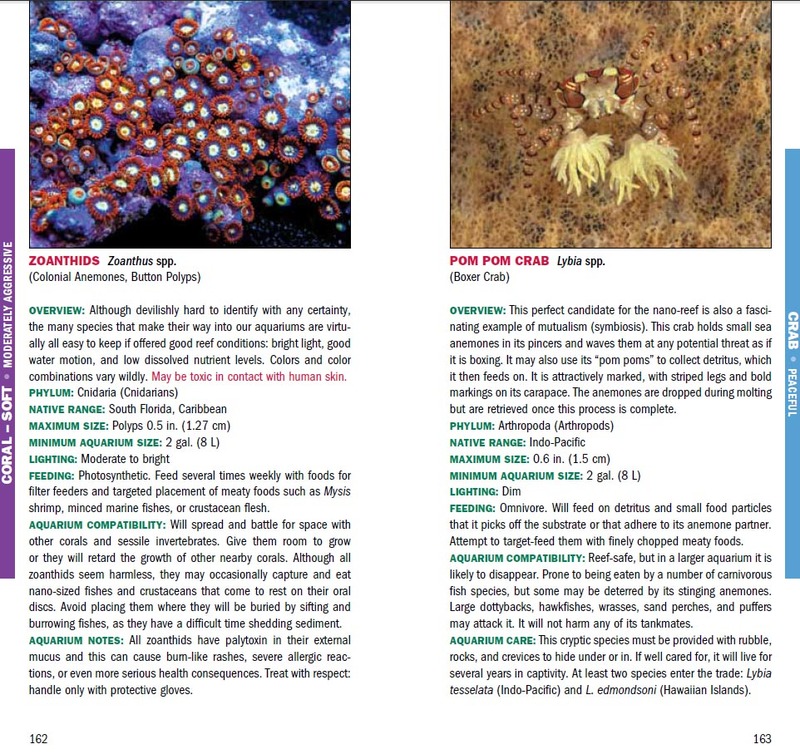 A glimpse at two species entries out of the 101 best nano reef aquarium species examined in this guide. 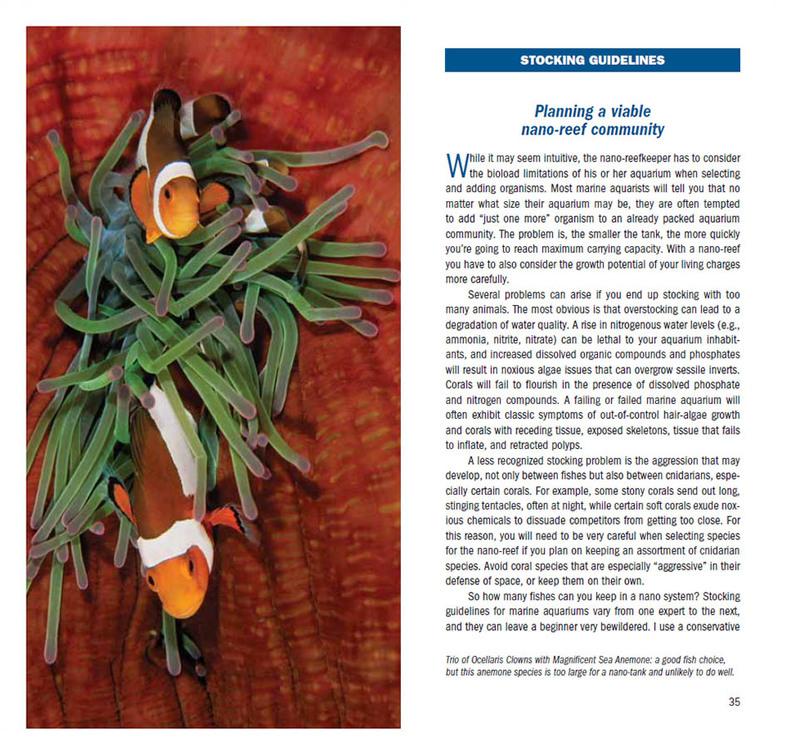 The book was produced by the CORAL Vermont team in partnership with the award-winning MICROCOSM Books, publishers of best-selling and award-winning aquarium books since 1996. 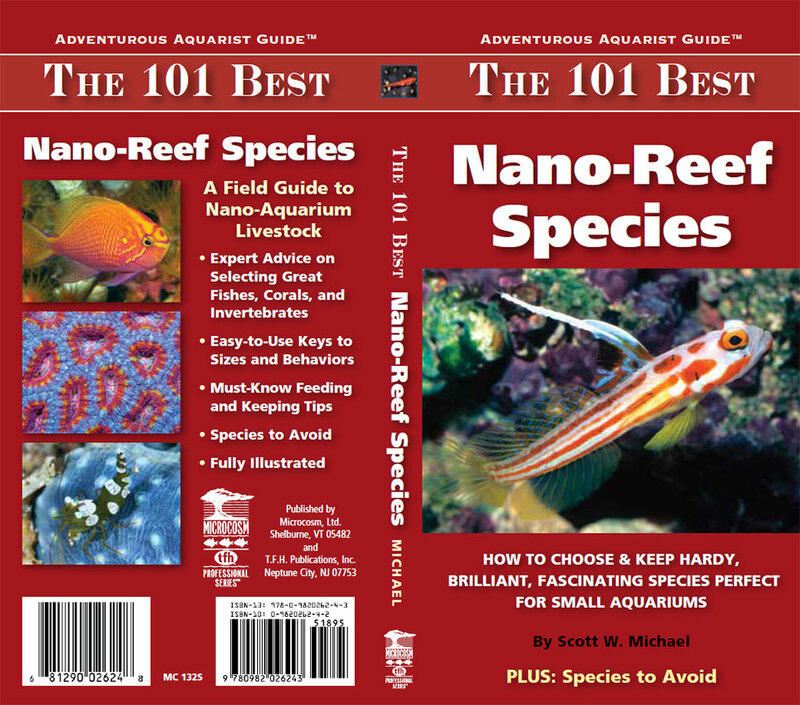 The 101 Best Nano Reef Species is on sale now at better local aquarium stores in North America, as well as online through Amazon.com.